← How Would You Impress Susan B. Anthony? Bible scholar and activist/author Jay Michaelson will visit the Jewish Community Center of Greater Rochester to give a talk about the bible and homosexuality. God vs. Gay? The Religious Case for Equality, Michaelson’s most recent boox, mixes academic analysis and memoir in explaining the support of equality and dignity for LGBT individuals in the majority of Judeo-Christian religions. Michaelson is the founder of Nehirim, the largest national provider of community programming for LGBT Jews, their partners and allies. He has written extensively about the intersections of religion, sexuality and law. A practicing Buddhist as well as a long-time student and teacher of Kabbalah, Michaelson has written several books, lived in Jerusalem and completed a 5-month silent meditation retreat. 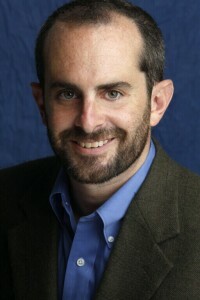 In 2009, he was included on the “Forward 50” list of the 50 most influential American Jews. This entry was posted in Community and tagged #jewish, #LGBT, #religion. Bookmark the permalink.